The Topic of Public Safety is an issue that can not be overlooked in the city planning process. It comes with the knowledge that the efforts by planners are heavy with responsibility. Just like any other aspect of city planning, the element of public safety is vital to the success of any project and it's undertaking. Public Safety involves precautionary steps to help prevent possible endangerment to the general public.I have decided to create an art piece that depicts a twisted safety cone. This is a cone that appears to be worn, warped and forgotten about. 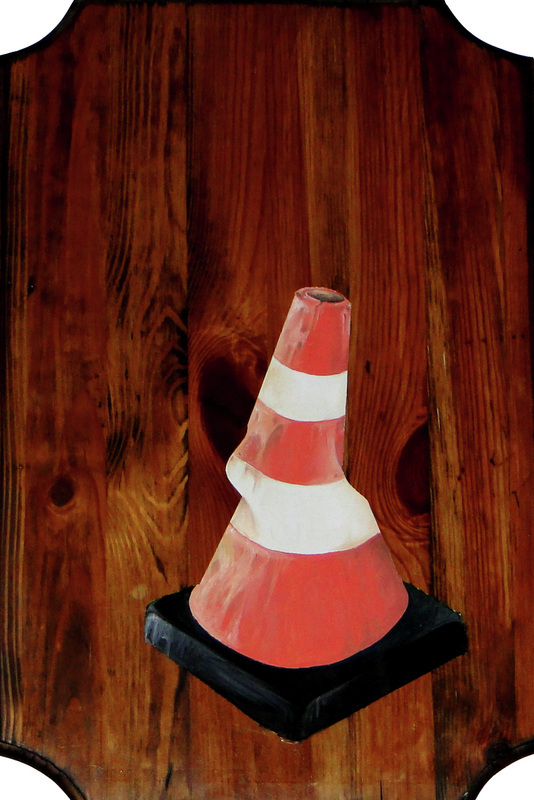 At any rate, this cone once prevented perils with it's duty as a marker for potential hazards. The cone still achieves such duties by capturing the attention of whomever views it. Working with my city planner counter part was a huge asset to create such a piece with the understanding that I now have. I signed up for such a project to experience what it would be like to work collaboratively with a person whose position is generally polar opposite to an artist. The outcome was more that pleasing!